1994's Vortex might not have been a smash-hit, but it was arguably one of the most technically impressive uses of Argonaut's Super FX chip - the hardware which made games like Star Fox and Stunt Race FX possible. Featuring a transforming craft known as the Battle Morphing System which could shift between four different modes - including a robot - it's hardly surprisingly that over the years it has been rumoured that the game began life as an official Transformers title. It was Super Play magazine which kick-started the rumour, reporting that Argonaut was working on a game based on Hasbro's line of action toys. When Vortex arrived on the scene and people saw its transforming robot, the assumption was made that it was the Transformers game in question, presumably with the name removed as a result of the licensing deal falling through. While this isn't the case, what has confused matters over the years is that Argonaut was in fact working on a Transformers game - but it was a totally different project. There was actually one in development, but it was cancelled. When I first talked to [Argonaut boss] Jez San about the chip they were developing it was one of the games on the cards. I originally thought of moulding my ideas into the Transformers game, but Jez wanted a few games out on Super FX, so kept my game separate. A Transformers game back in 1994 would have made for an unusual licence, as the franchise had fallen on hard times after its glory days of the '80s and wouldn't return to mainstream prominence until the arrival of Michael Bay's Hollywood movies. Still, it would have been an interesting proposition, and it's a shame that it never made it into production. We've still got Vortex, which is one of the most impressive Super FX titles and well worth a look today. I often wonder if the SFX kept evolving to greater clock speeds and lower production prices if we could have a whole bunch more of 3D stuff on SNES. Argonaut's "FX Fighter" would have been a cool SNES addition, it was very nice on PC. I too wonder how would a Transformers game would look like on SNES... the more you know! Beating Vortex in hard mode is one of my greatest accoutrements in video games. Surprising that people think this was a Transformers game when the SNES game have been floating on the net for 15-20 years, and works in emulators. Timeline makes sense. 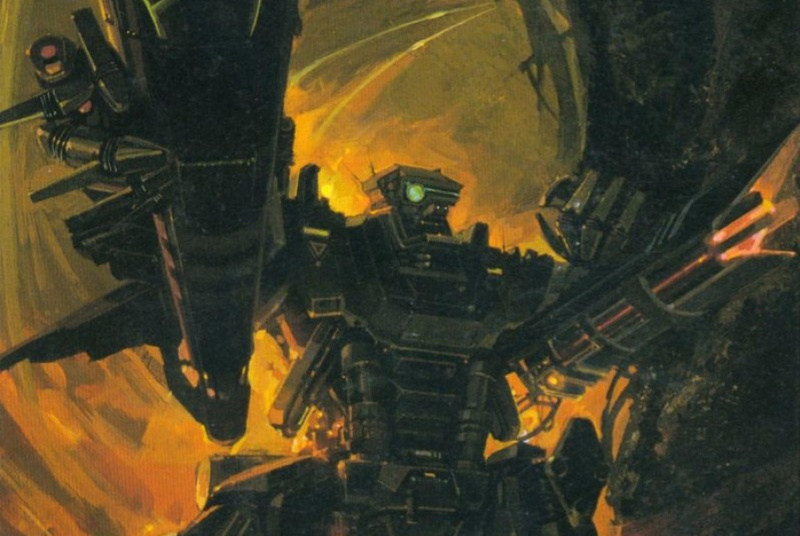 Hasbro would have been getting ready for Generation 2 when a Transformers game was talked about. Then they probably changed their mind when it became apparent G2 hadn't provided the franchise the shot in the arm they were hopping for. @antonvaltaz I'd be extremely surprised if Nintendo haven't figured out how to emulate the Super FX chip. There's something else going on there. @Other_Dave i'm guesstimating that Argonaut holds (part of the) copyright on the Super FX chip 'firmware'. @Ventilator People have known it's not a true TF game, the rumour was that it began life as one. @antonvaltaz I would have to agree with @Other_Dave since emulation has long since made it possible to play Super FX games on both Wii and Wii U. SNES9x GX runs them quite nicely. I remember seeing this rumour in Super Play at the time, I always assumed they didn't get the licence or something. It's interesting to know it was never meant to be a TF game after all these years! @Damo : Okay then. It have some similarities to TF, so it was maybe planned as a TF game. @Shiryu It would be bottlenecked by the snes in general. Price would also be an issue. @Mk_II I somehow think that isn't the issue. Nintendo would own all patents. Super FX games including Star Fox are very poor and unplayable by today's standards - the vastly superior Star Fox 64 is available already on eShop and 3DS. If you really need to play Super FX games on Wii U there is a very simple procedure that allows you to do so. I find it amusing that they named Vortex after a Transformer though, even if it wasn't intentional. @liveswired what about yoshis island? I use to have this game. Always ran out of fuel even when I set a perfect travel path to minimize usage. Never completed until I used a cheat for unlimited fuel. Was actually a decent game after that. @liveswired I feel like it has to be a rights issue. Why else would they have both the SNES and GBA versions of Super Mario World, but only the GBA version of Yoshi's Island? @antonvaltaz It's not the emulation. Emulating the FX chip is easy. The reason they are no FX game is something else. Last time I heard, it was due to licensing/copyright issues or something regarding the FX chip brand.